Etymology-(coined in Canterbury 2017) a synthesis of care, motion, emotion, motion picture and commotion. 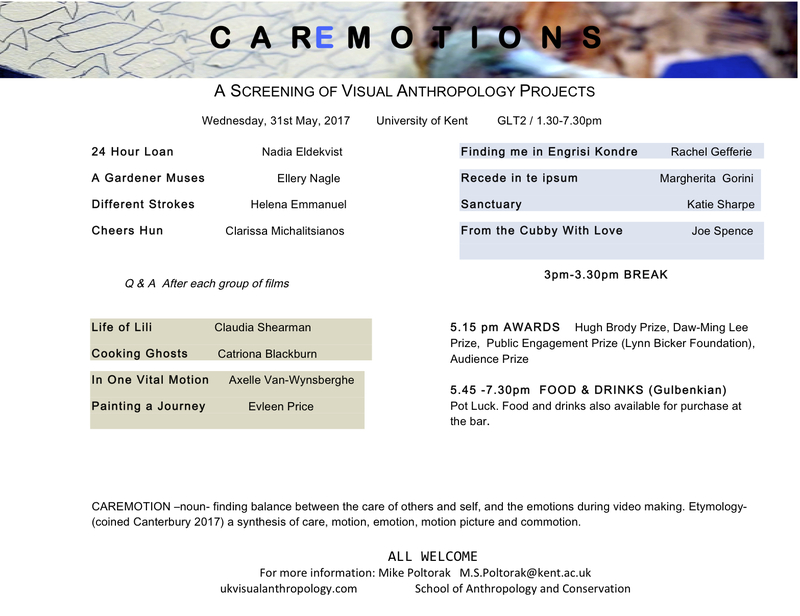 This year’s screening and celebration of our final year visual anthropology projects was a tremendously rich experience. Many of the people in the films attended and contributed to the discussions and Q and A. After each series of projects the audience had the opportunity to share their impressions in small groups before directing attention to the filmmakers. 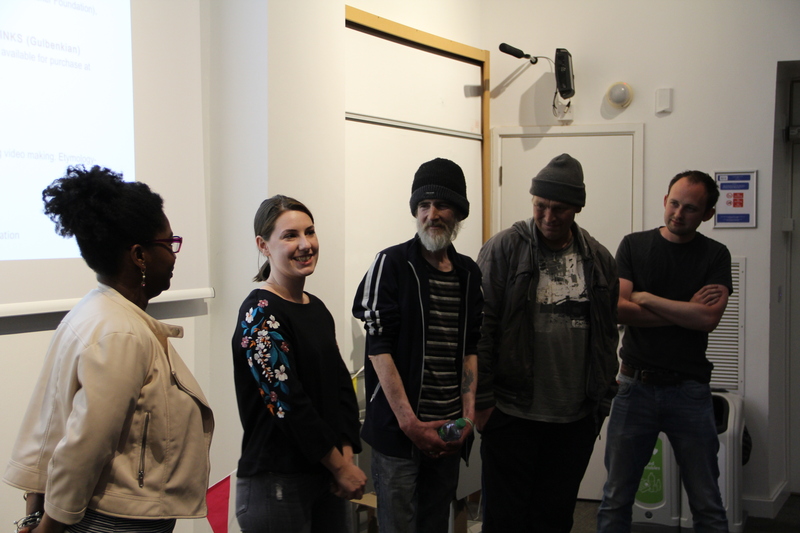 Our discussion started from the filmmakers making observations about the connections between their films and what it was like to see it on the big screen. This blog post includes audio of the Q and A, photos and presents the prize winning films at the end. For more information some of the films have websites. There you can explore and find links to the films. The first series of films dealt with student life, study/work balance challenges, university choice and mutual support. Nadia, Clarissa and Helena (L to R) during the Q and A.
Rachel, Margherita, Nick, Martin and Joe during the Q and A. Nick and Martin are the two protagonists and collaborators in Joe’s film ‘From the Cubby with Love’. The final four films are very diverse and reach out to family, friends and on issues where care and emotionality really come to the fore. 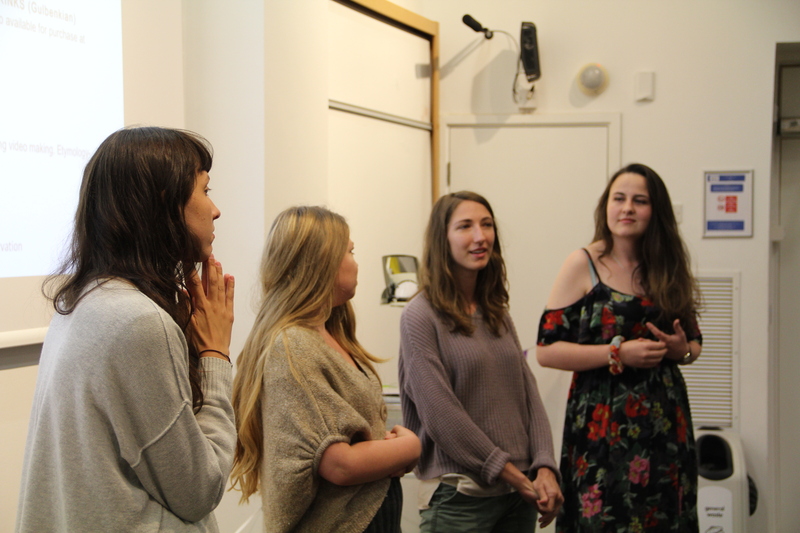 They most exemplify the title of our screening: CAREMOTIONS, which we coined to communicate something of the challenge of finding a balance in video-making in care of others and self. Claudia, Catriona, Axelle and Evleen during the Q and A. Professor Hugh Brody joined us again this year to award the Hugh Brody prize. In the morning we celebrated the opening of a new editing suite in the school named after him. 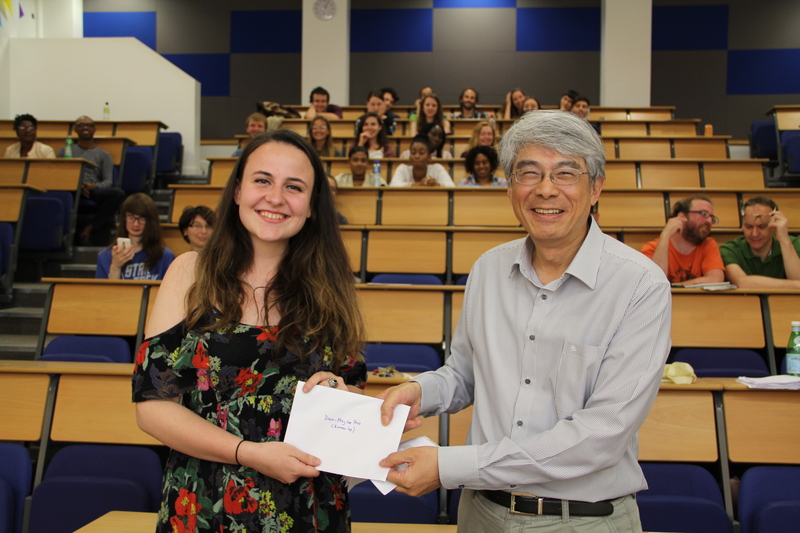 Catriona receiving the Hugh Brody Runner-Up Prize. 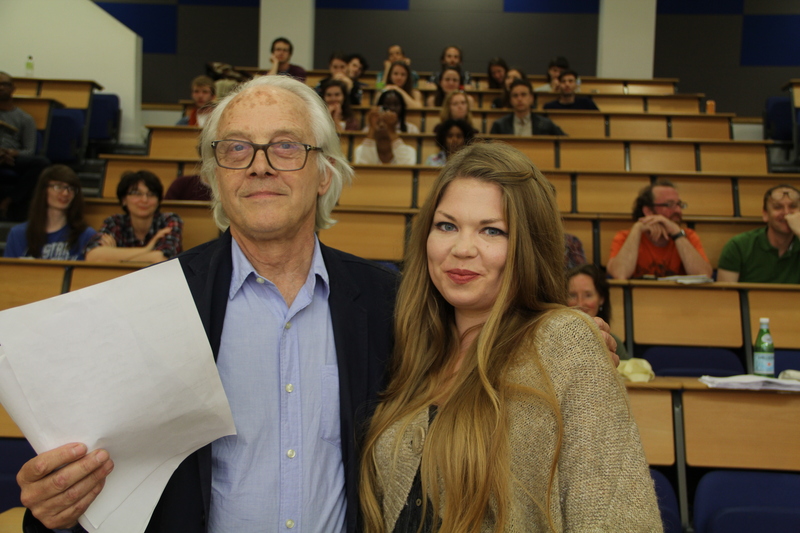 Margherita receiving the Hugh Brody Prize. This year the renowned Taiwanese academic and ethnographic filmmaker, Professor Daw-Ming Lee, joined us and awarded two prizes. 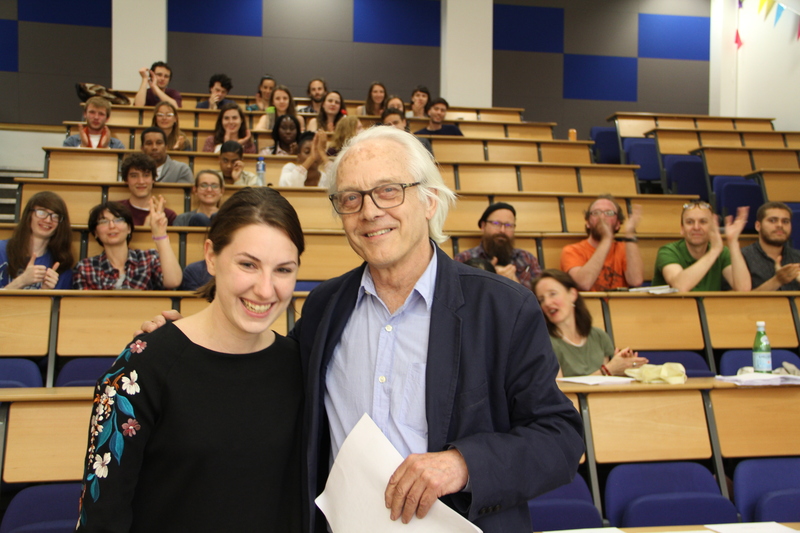 This was one of the final events of his visit to the University of Kent and the UK and he was struck by how the students had managed to create such great films in only a term. He awarded two prizes. Evleen receiving the Daw-Ming Lee Runner Up prize. 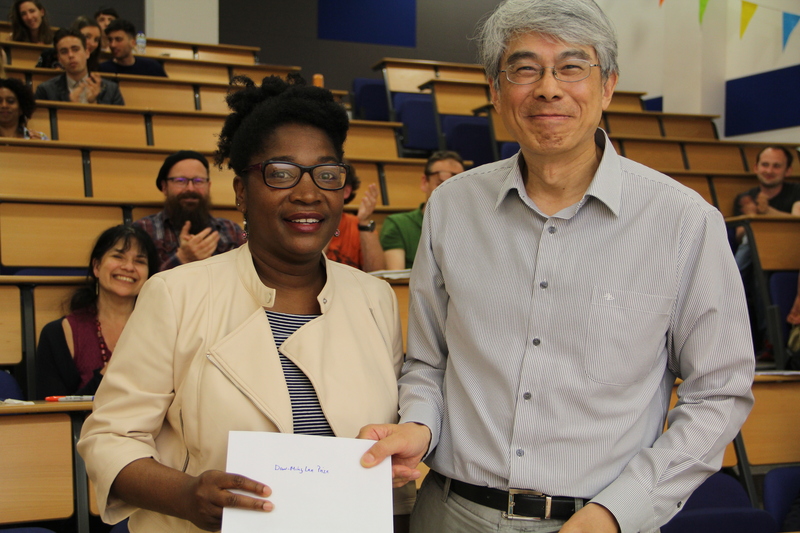 Rachel receives the Daw-Ming Lee Prize. The public engagement prize is based on the combination of website and public value of their film. It was awarded by Alan Bicker for the Lynn Bicker Foundation. 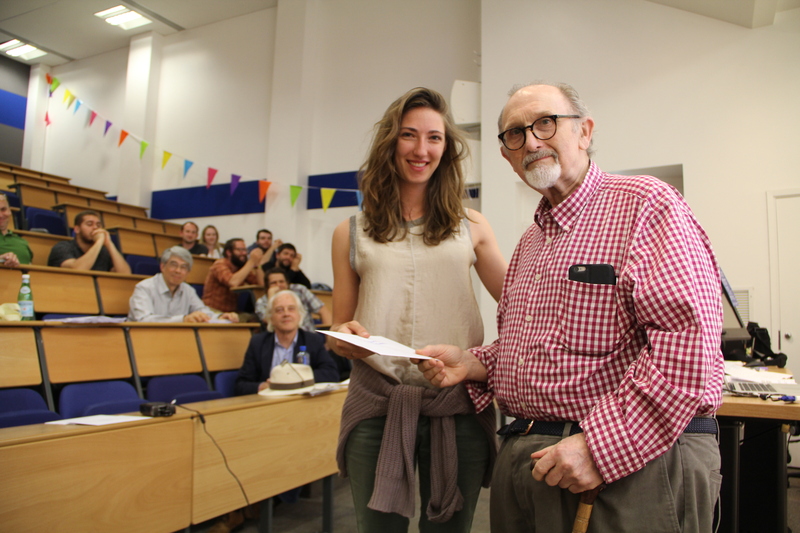 Axelle receives the Public Engagement Prize from Alan Bicker on behalf of the Lynn Bicker mentoring foundation. The Audience prize was awarded on the basis of 1st and 2nd place votes of audience members. 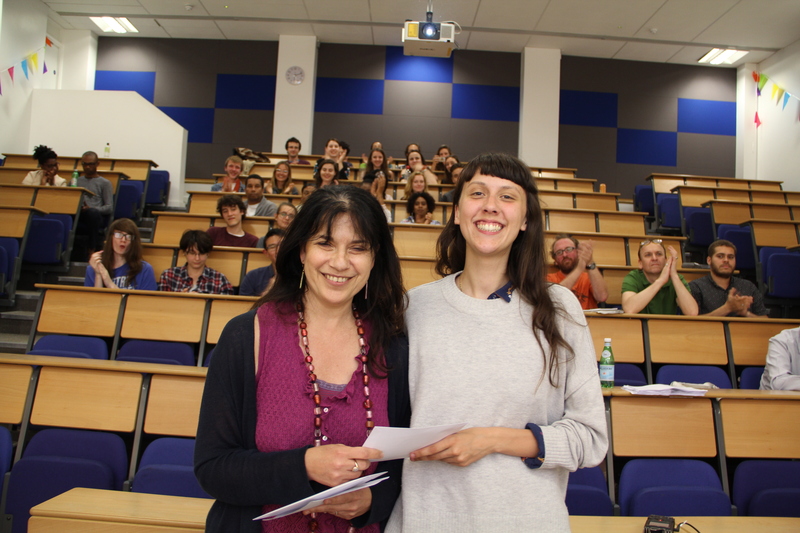 Claudia receives the Runner-Up Audience Prize from Daniela Peluso. 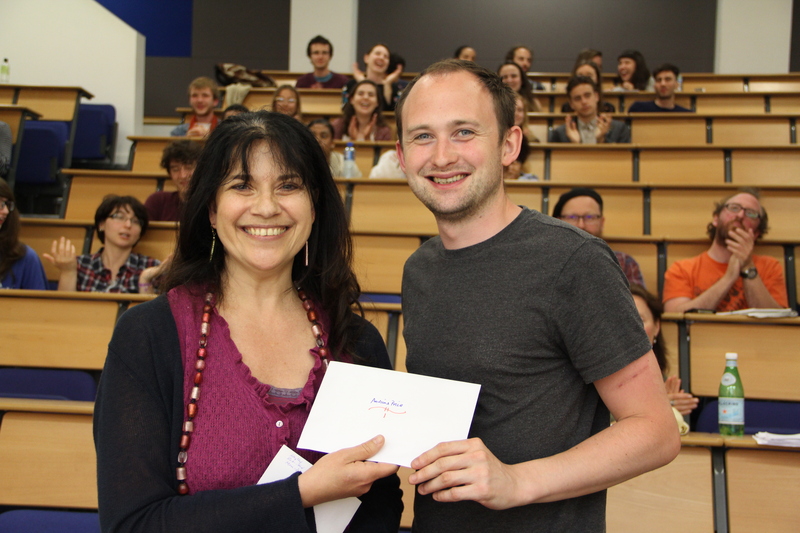 Joe receives the Audience Prize from Daniela Peluso. 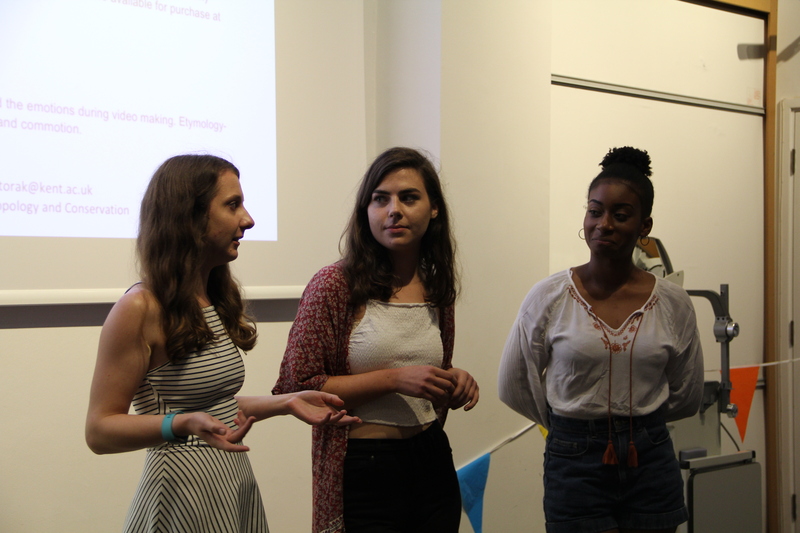 After the screening we all went to the Gulbenkian foyer to share food provided by the students.